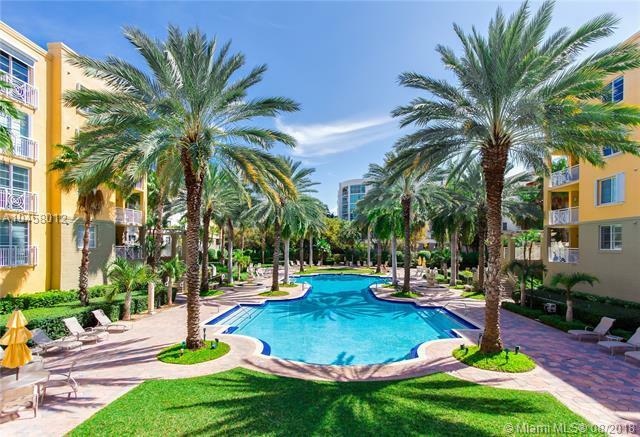 Price reduced for fast sale: Stunning spacious corner unit in south of fifth's highly sought after 'The Courts' condominium. Seller's relocating for a new position & has priced to sell quickly this pristine unit w/beautiful open floor plan w/windows on 3 sides, travertine floors throughout, large balcony & 2 covered parking spaces. Currently 3rd bedroom is used as a dining room & can be closed for a private bedroom. Sunny open kitchen w/granite countertops, ss appliances, & washer/dryer. Master suite w/3 closets including generous walk-in, large bathroom w/marble finishes, Jacuzzi tub & glass shower. In beautiful Mediterranean villa style complex w/2 heated pools, gym, sauna, steam, whirlpool & more. Steps to great restaurants, shops, A-rated school & the ocean.